Thread, Nymo®, nylon, assorted colors, size D. Sold per pkg of (8) 64-yard bobbins. 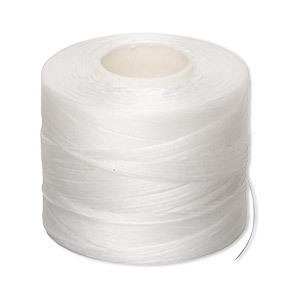 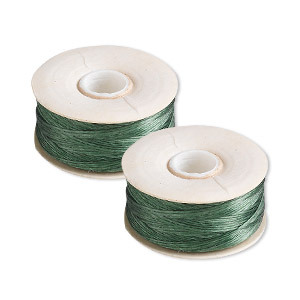 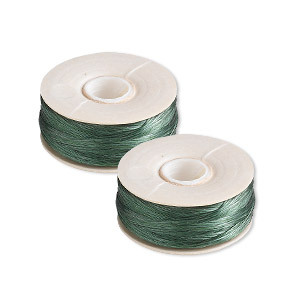 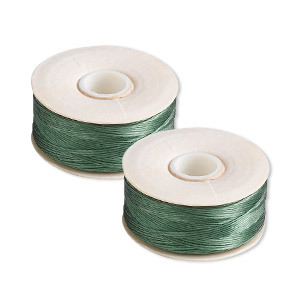 Thread, Nymo®, nylon, green, size OO. 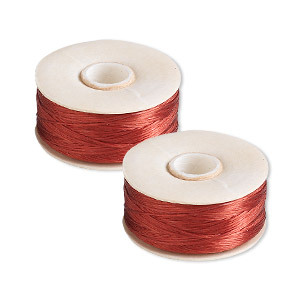 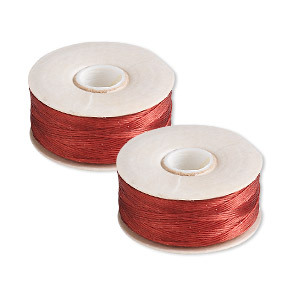 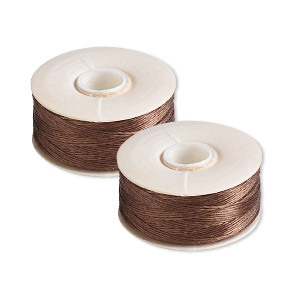 Sold per pkg of (2) 110-yard bobbins. 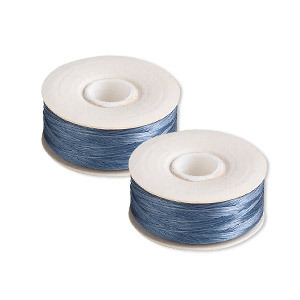 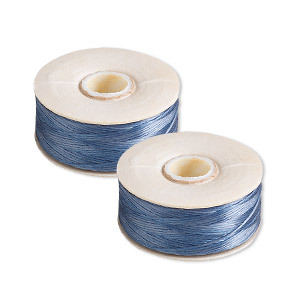 Thread, Nymo®, nylon, royal blue, size OO. 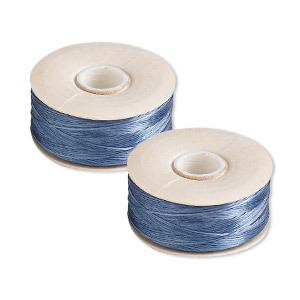 Sold per pkg of (2) 110-yard bobbins. 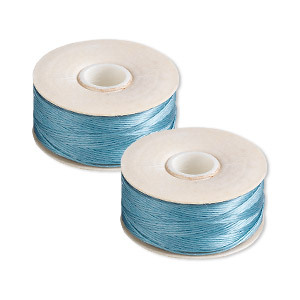 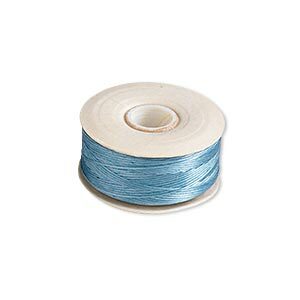 Thread, Nymo®, nylon, turquoise blue, size OO. Sold per pkg of (2) 110-yard bobbins. 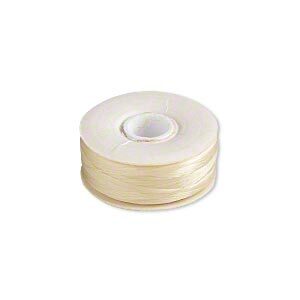 Thread, Nymo®, nylon, light tan, size OO. 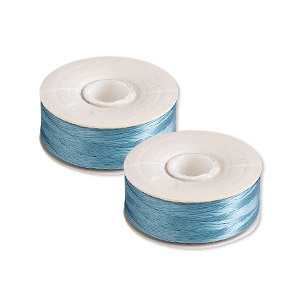 Sold per pkg of (2) 110-yard bobbins. 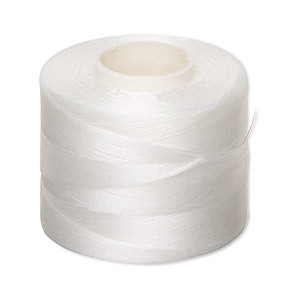 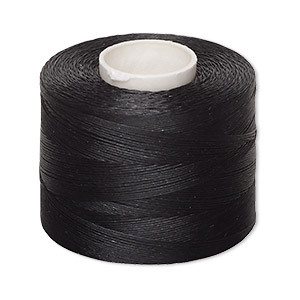 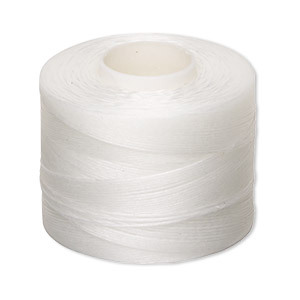 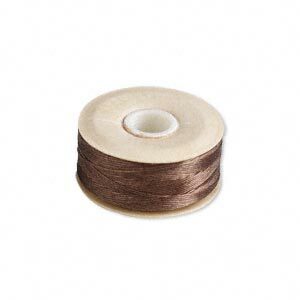 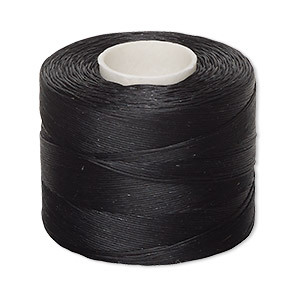 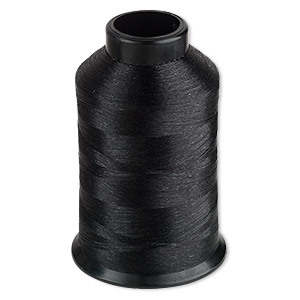 Thread, Nymo®, nylon, brown, size OO. 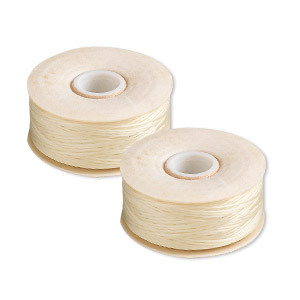 Sold per pkg of (2) 110-yard bobbins.